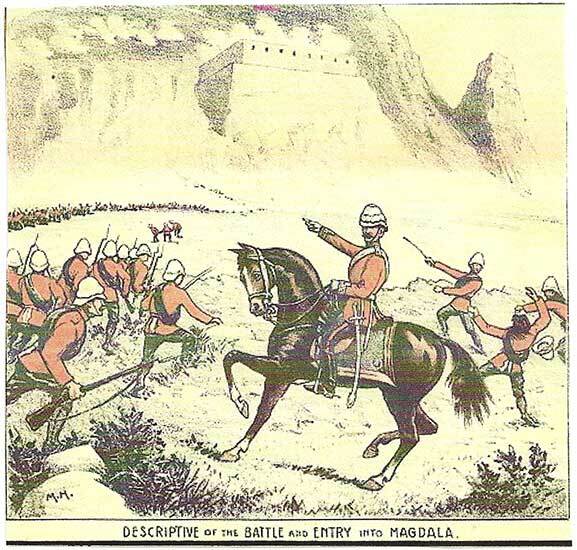 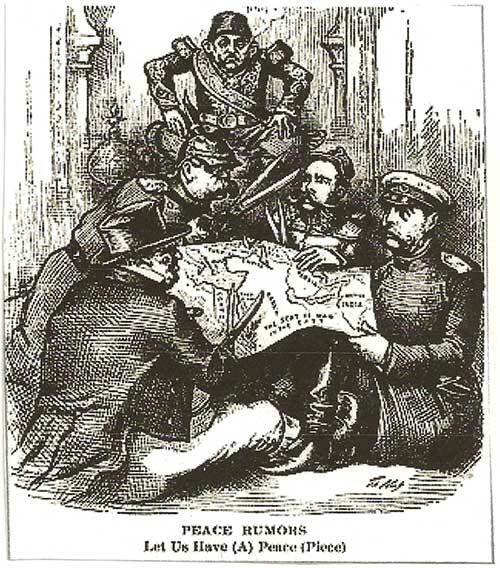 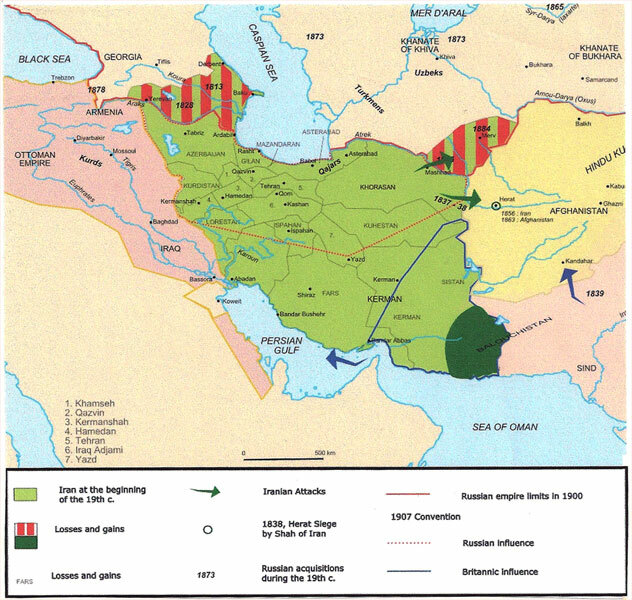 The Casus Belli for the Crimean War was Russian insistance for control over the Holy places in Palestine. 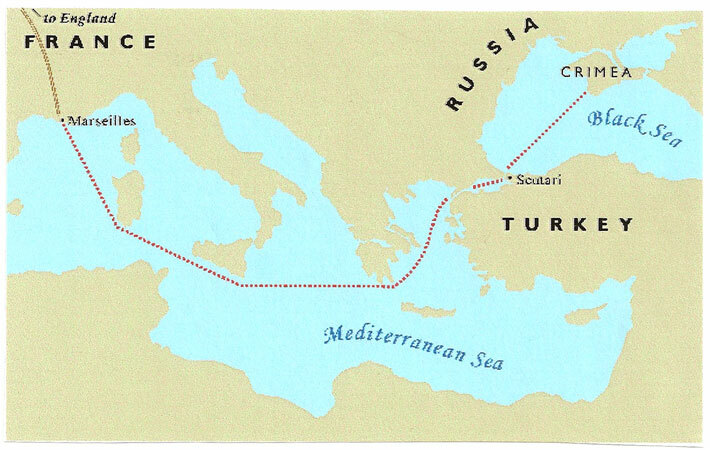 Most of the conflict took place in the Crimea between Russia and the armys / navys of Britain, France and the Ottoman Empire. 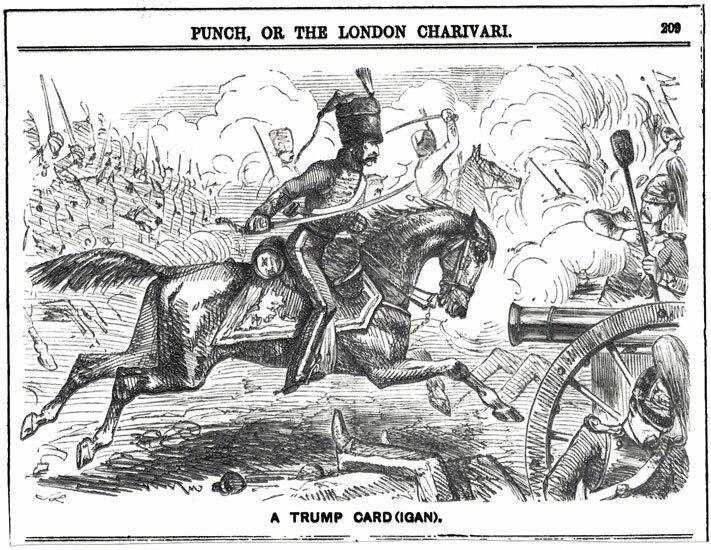 The Charge of the Light Brigade, under the command of the Earl of Cardigan. 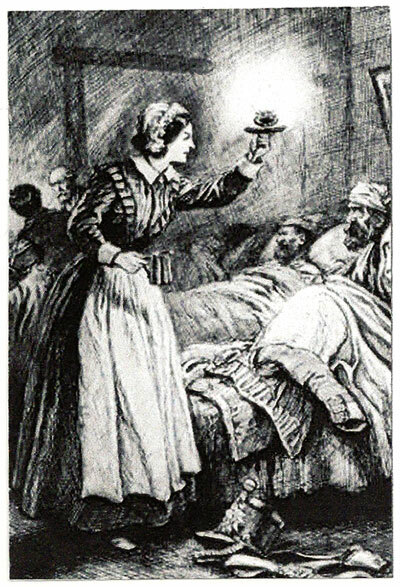 Florence Nightingale - The 'Lady With the Lamp'. 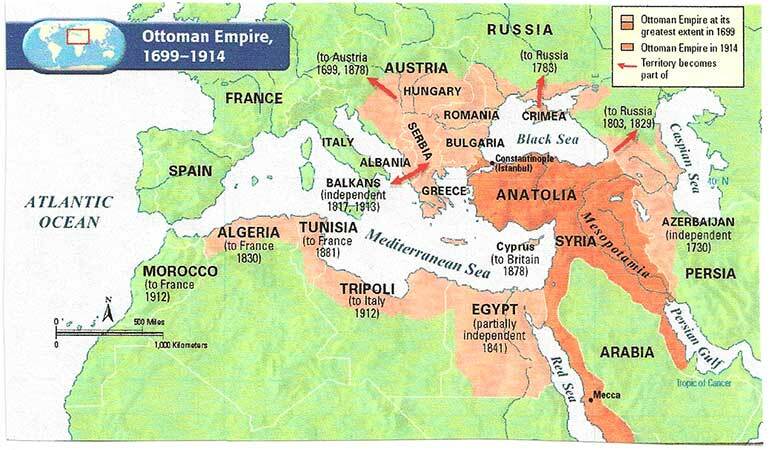 The Ottoman Turks dominate the Middle East basin for 400 years. 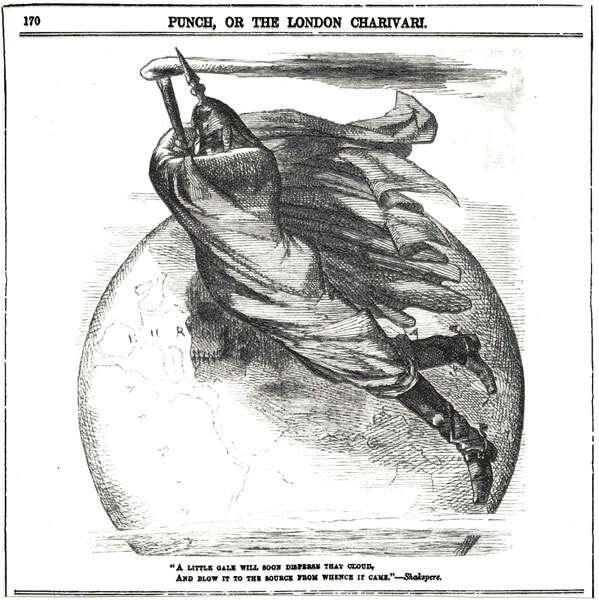 Turkey - "The sick man of Europe". 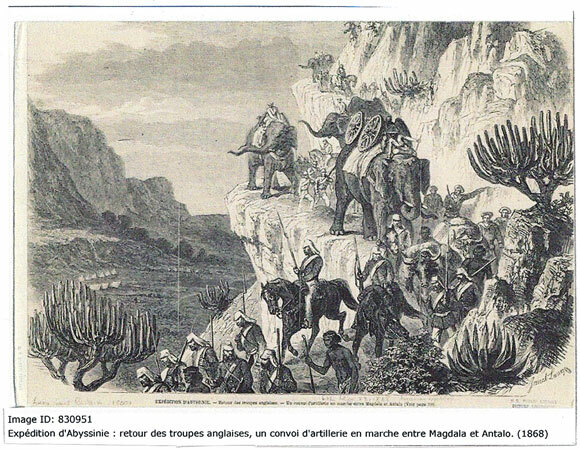 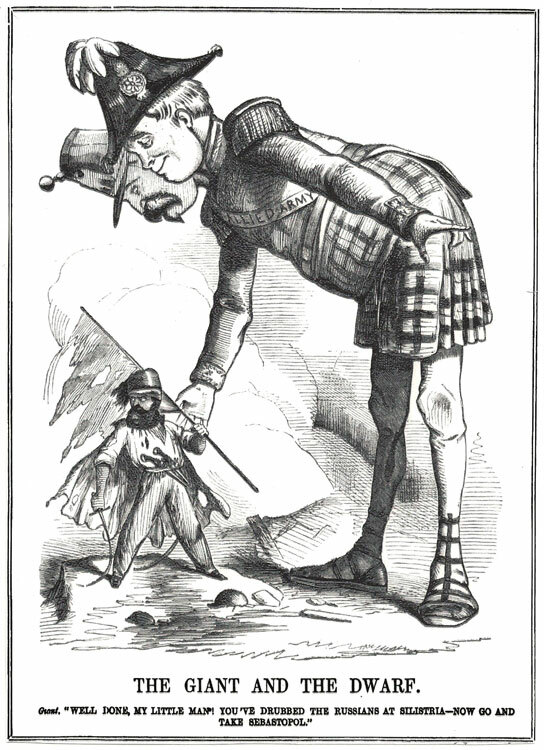 A British expedition led by Sir Robert Napier to free the British consol and other European prisoners being held by Abyssinian emperor Theodore II. 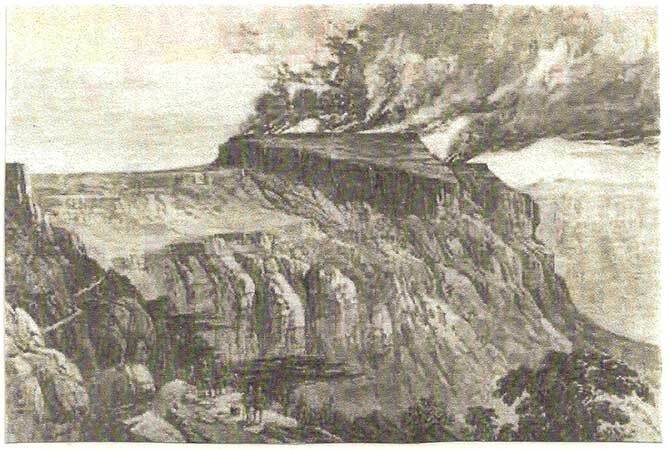 The Forces storms Theodore's mountain stronghold of Magdala and secure the release of the hostages. 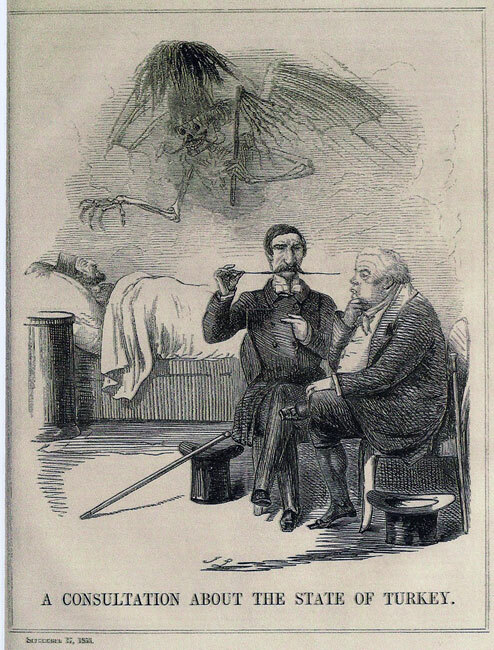 Theodore takes his own life. 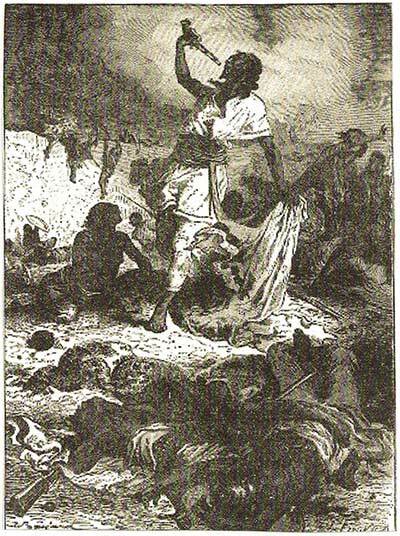 The burning of Magdala by the British in 1868 by Chestofbooks. 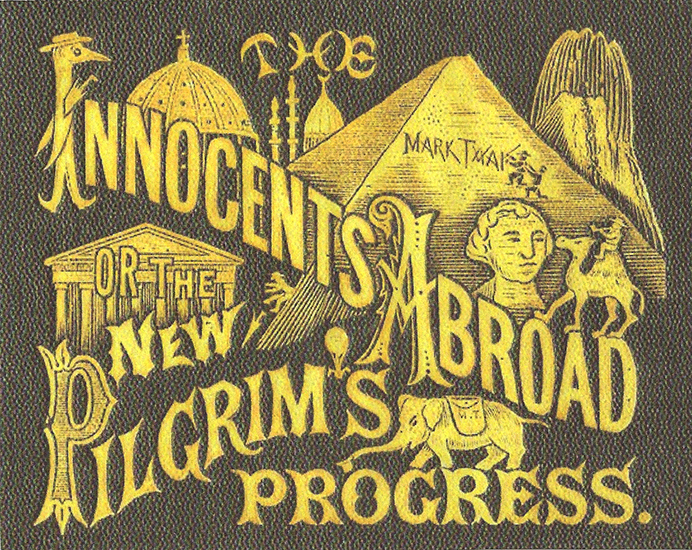 The Innocents Abroad by Mark Twain. 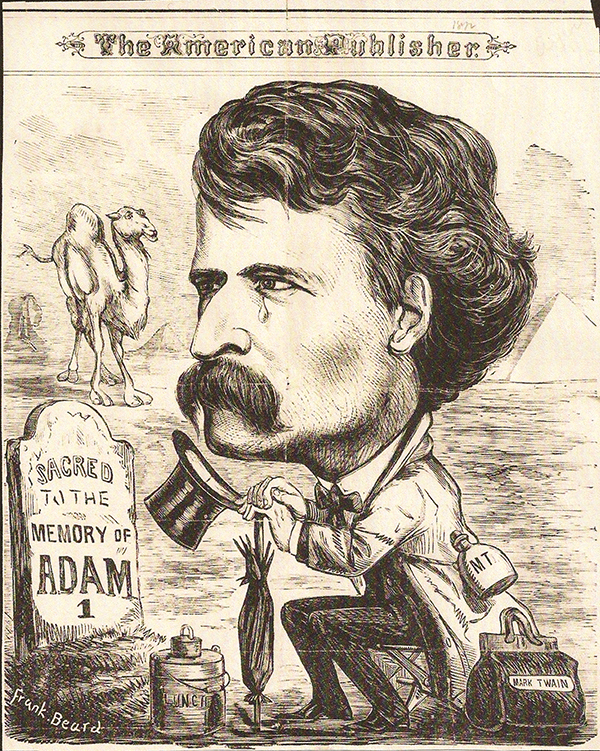 Depicted: Mark Twain by Frank Beard, American Publisher, 1872, U.S.A. 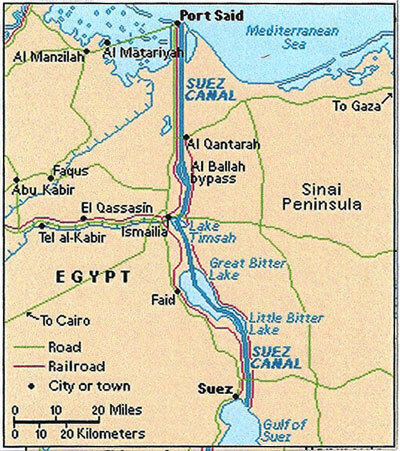 In a spectacular ceremony, the Suez Canal was inaugurated on November 17, 1869. 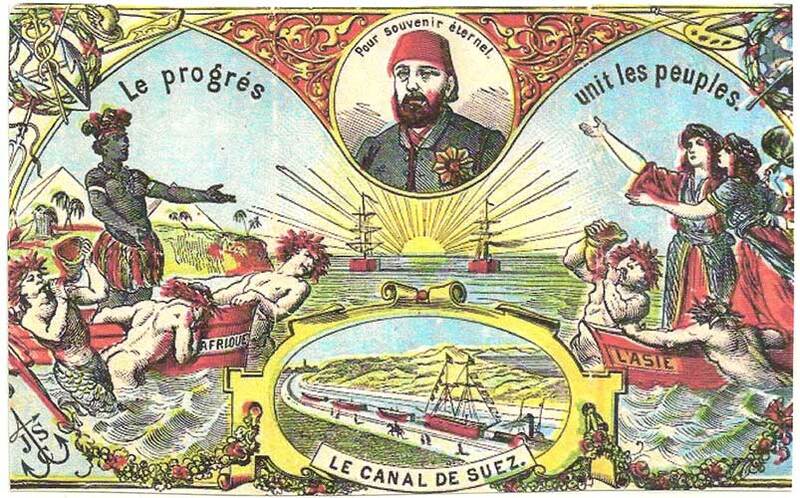 Commemerative booklet celebrating the opening of the Suez Canal. 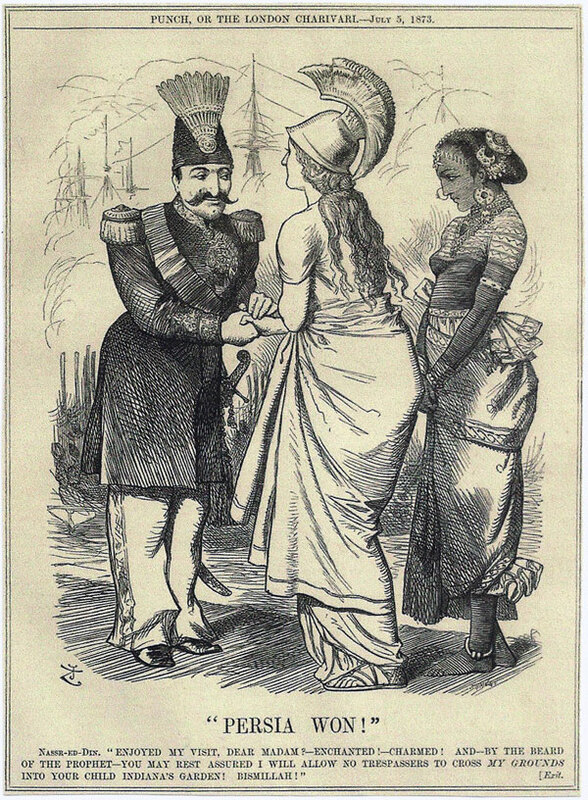 Depected: Khedive Ismail of Egypt and Sudan. 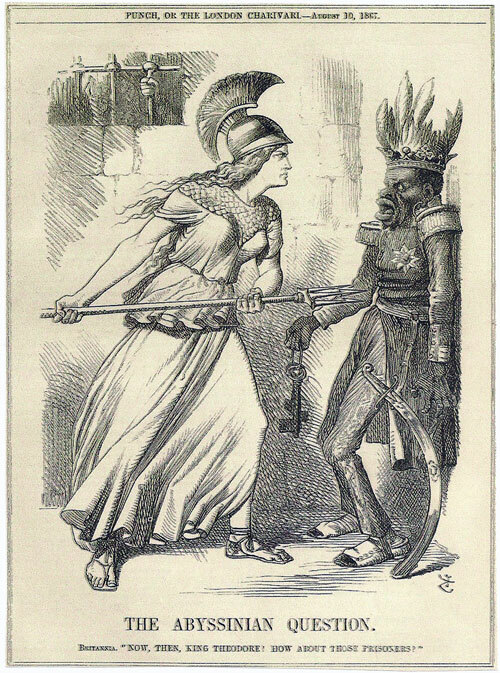 France: "See what it unites". 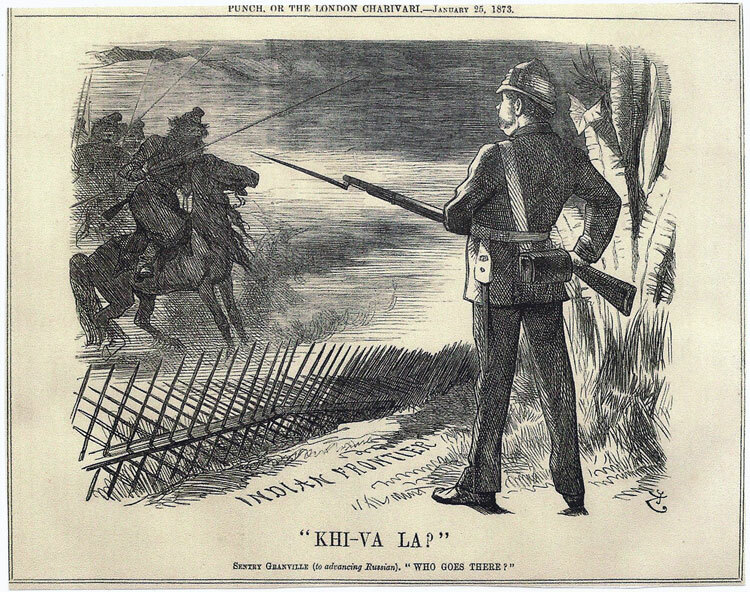 Britanna: "Think what it may divide". 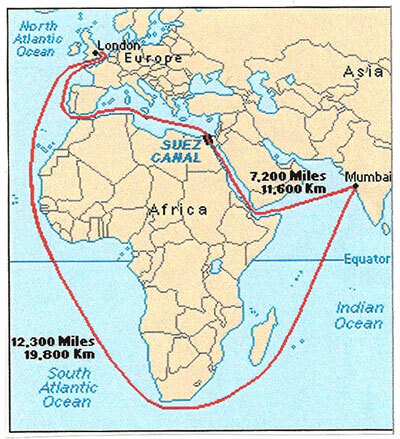 The Suez Canal Company shares were primarily held by Ismail Pasha of Egypt and the French government. 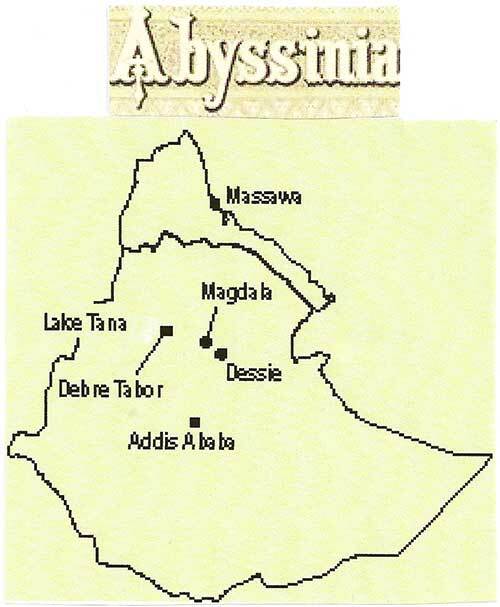 The 'divide' refers to the fact that Egypt lay between Britain and her crown colony India. 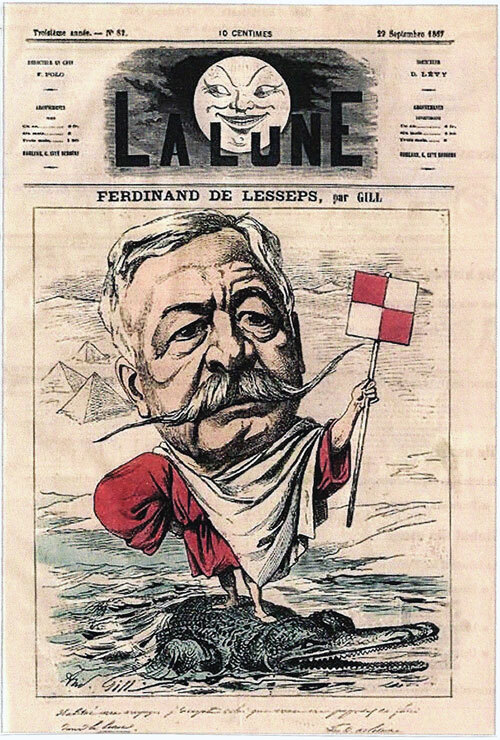 French diplomate and engineer, most famous for building the Suez Canal, which joined the Mediterranian and Red Sea. 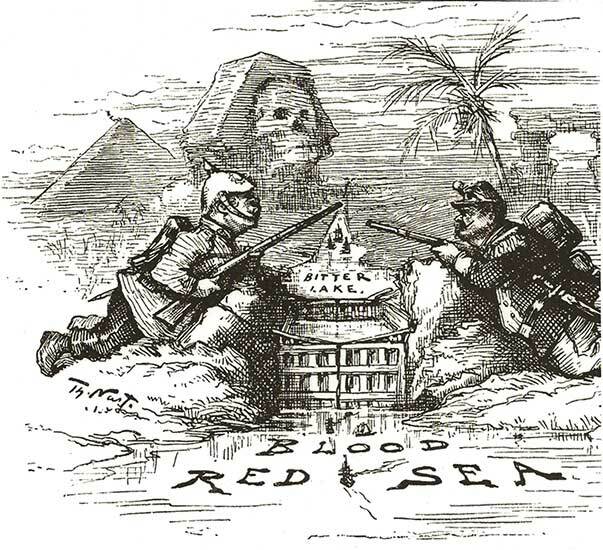 The position on England and France at the Suez Canal. 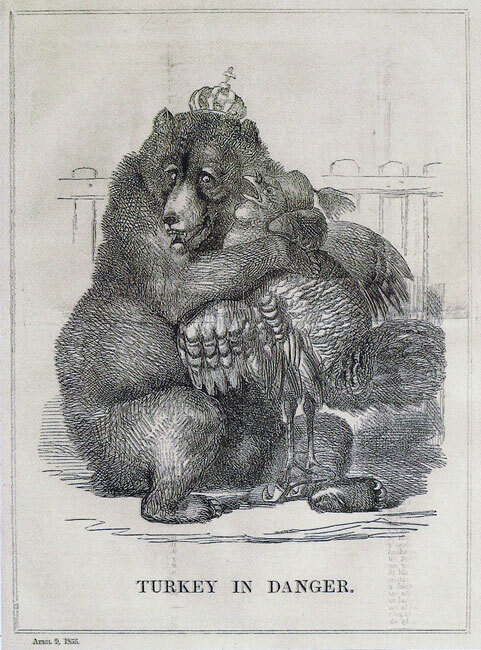 Keeping the Russian at bay. 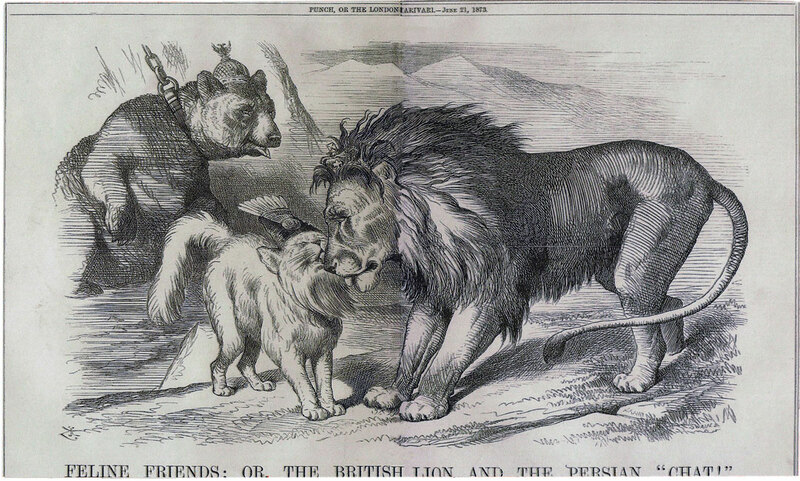 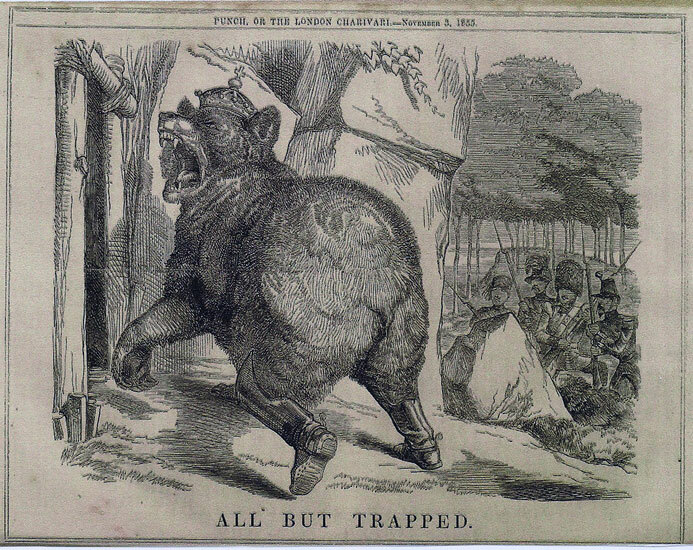 The British lion, the Persion cat and the Russian bear. 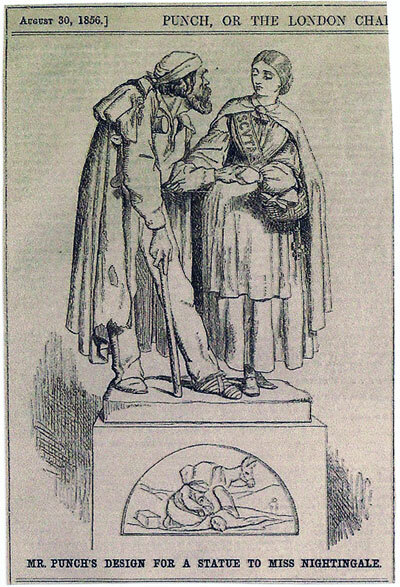 Nassar Al-Din, Shah Qater of Iran, was given admittance to the Order of the Garter by Queen Victoria. 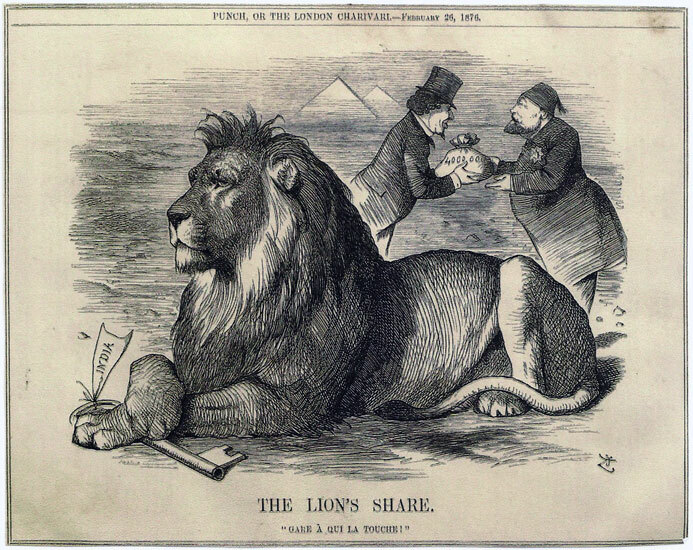 the largest single shareholder. 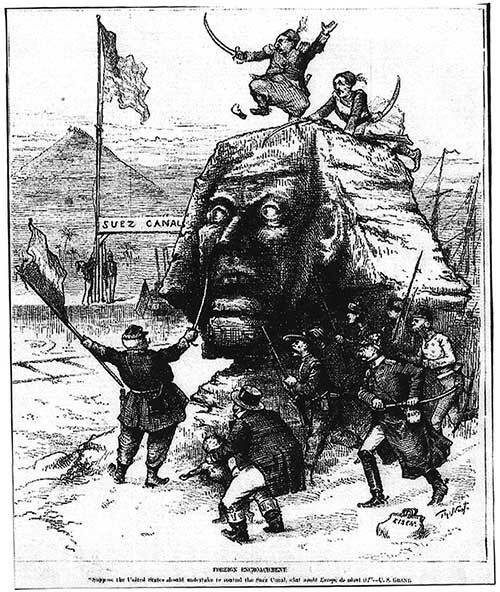 It was the start of imperial British control over Egypt. 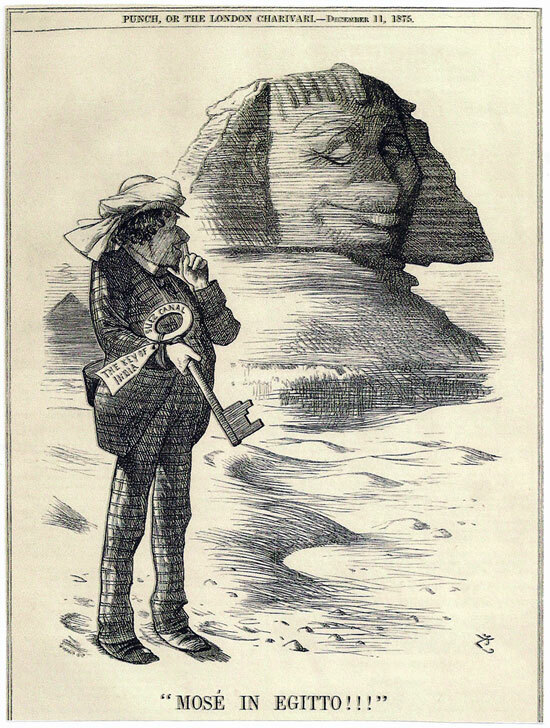 Disraeli and the Khedive close the deal. 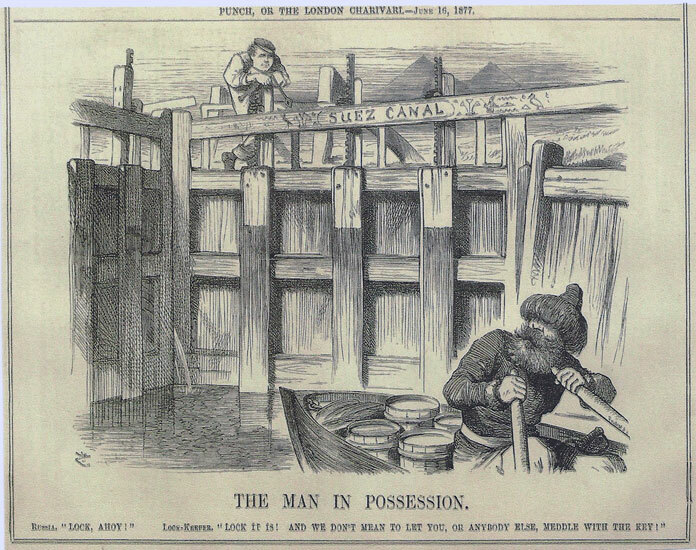 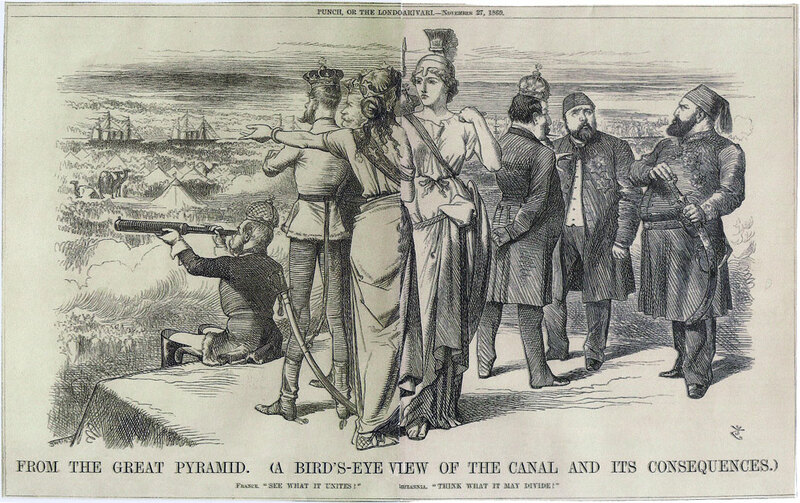 Great Britain buys out the Khedive's shares of the Suez Canal Company. 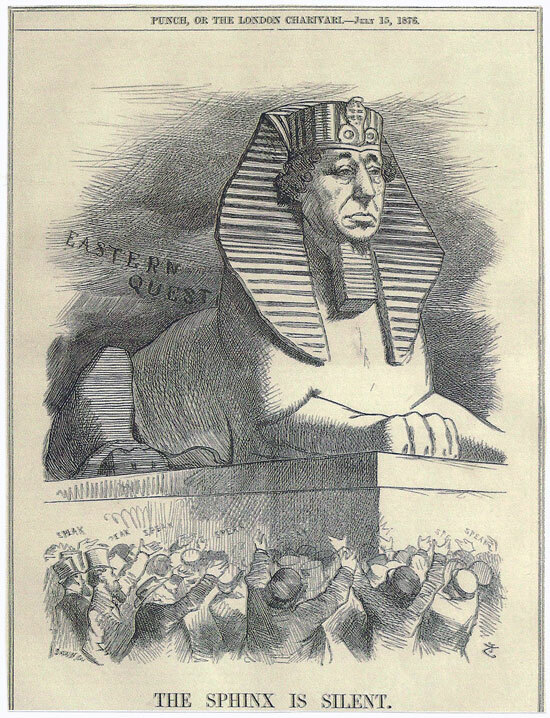 Disraeli ponders the 'eastern question'.